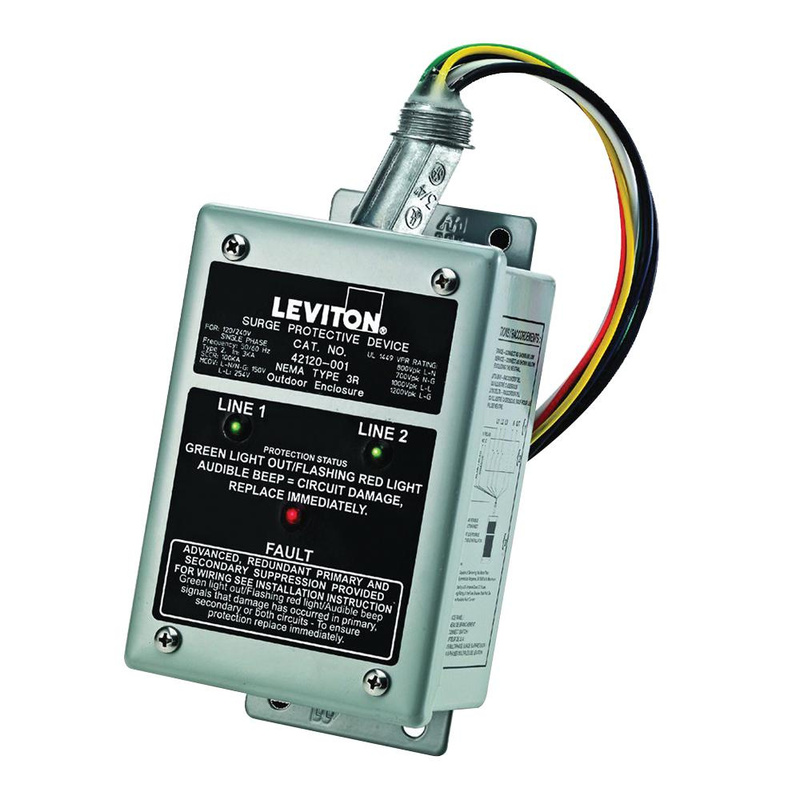 Leviton 7-Mode enhanced noise filtering surge protection panel with 40-mm MOV surge technology, has voltage rating of 277 - 480-Volts and current rating of 30-Amps. This panel has surge protective current rating of 80-Kilo-Amps and short circuit rating 100-Kilo-Amps. This panel features powder coated steel construction. It measures 4.25-Inch x 3.25-Inch x 7.5-Inch. It protects the sensitive electronic equipment in industrial, commercial and residential locations. This 3-Phase panel diverts the damaging voltage transients or surges away from electronic equipment. It has frequency rating of 50/60-Hz. This panel allows for 12-AWG cable entry. It features audible alarm and indicators for monitoring power and surge suppression status. This panel has operating temperature range of -10 to 60 deg C. Surge protection panel is UL/cULus listed, ANSI certified and meets IEEE standards. * Inventory displayed is accurate as of 04/20/2019 03:40 EDT.